Kitzbühel and St Anton are top of mind as top family ski resorts in Austria. Well, SkiWelt is the largest, and also among the best for a family ski trip. SkiWelt actually translates to Ski World, and it is big – connecting 9 mountain villages via 90 lifts, covering 290 kilometers of trails. 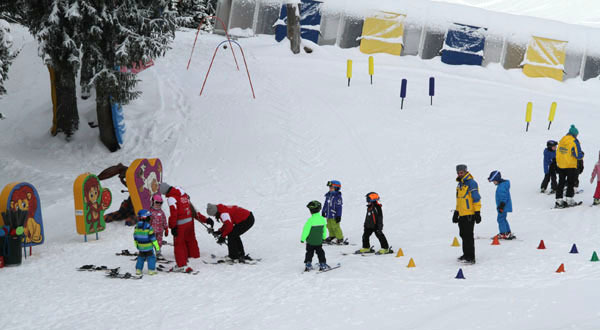 Just an hour from Kitzbuhel, two from Innsbruck and Munich , in the Tyrol Alps, SkiWelt Wilder Kaiser-Brixental is incredibly family friendly – kids often ski free with parents. 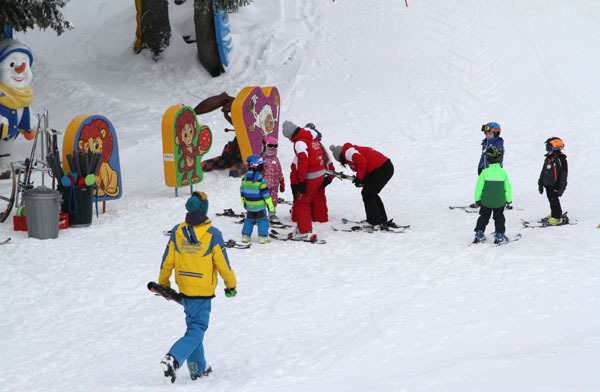 SkiWelt has 22 ski schools (starting kids in ski school as young as one – kindergarten), all up on the mountain, even daycare is reached via gondola. SkiWelt has plenty of fun snow parks (terrain parks), on mountain playgrounds with ski penguins and colorful animation around the ski resort. Also there is so much grooming, daily, with 69 snowcats, SkiWelt grooms 21 pistes that go all the way to the nine valleys daily, or you can leave your skis at the summit and download via panoramic gondola. SkiWelt’s base villages are Brixen, Ellmau, Going, Hopfgarten, Itter, Kelchsau, Scheffau, Soll and Westendorf, you will find family friendly and affordable lodging at any of these. 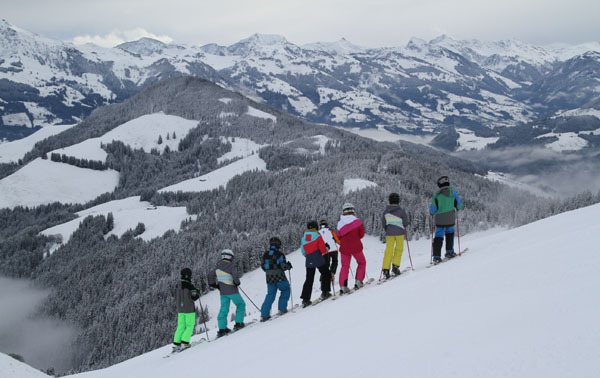 SkiWelt is also super scenic with views of the Kitzbühel valley to the Wilder Kaiser mountain – the highest peak from the north at 2,344 meters (7,690’). Particularly panoramic is the summit of Hohe Salve at 6,000’, where an 1589 Brixen church dominates the peak – the new gondola lands below the beautiful church and an escalator whisks you up to the slopes and the view. SkiWelt’s modern lifts flank every aspect – impressive and ideal for young families, and non-skiers that want to come up to the high alpine to see their kids in ski school or have a cozy chalet lunch. SkiWelt is home to 77 huts, all family owned with their unique recipes served in farmhouses where they spend summers with their cows. Most have large sun terraces with views of the Wild King and Kitzbühel peaks, and are a short hike from a gondola. The Rubezahl Alm is perhaps the most famous hut, in Ellmau, just off the slopes – this 1778 farmhouse is the place to see and be seen by the big fireplace, at the bar on cowhide barstools, or at a rustic corner table. Kids love the Alpine Iglu village created at SkiWelt each year, you can ski here for a tour, enjoy the ice exhibit, or you can come for fondue dinner seated on fur skins and enjoy the illumination. You can even stay at the Iglu Hotel if you want to chill overnight. 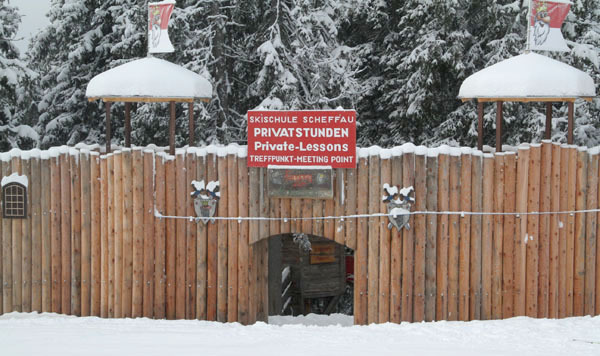 SkiWelt is great for families with affordable ski packages, kids under 15 ski free with parents certain dates. 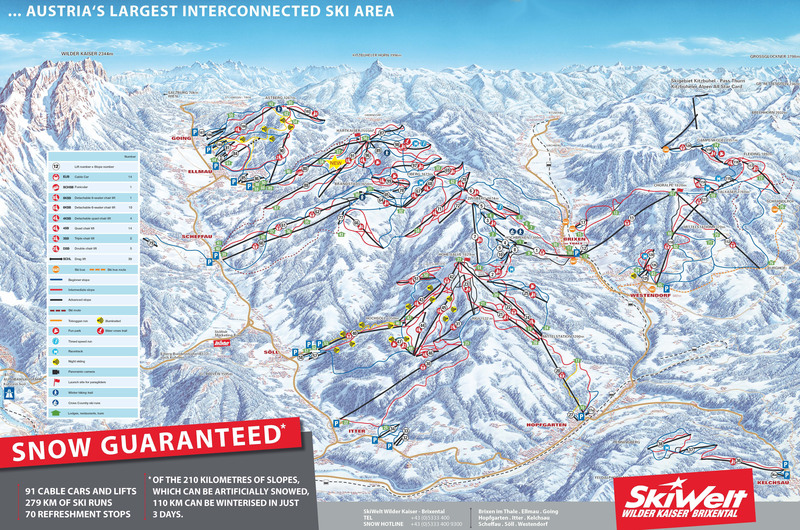 SkiWelt also offers night skiing, Austria’s largest night ski area, Thursday – Saturday. Each of the nine village that connect via lifts to comprise SkiWelt have just a few hotels, ski shops and services. None are big ski resort towns, and they all remain 50% local to provide genuine Austrian flavor and authenticity. Soll attracts more German clients due to its proximity to Munich for example. 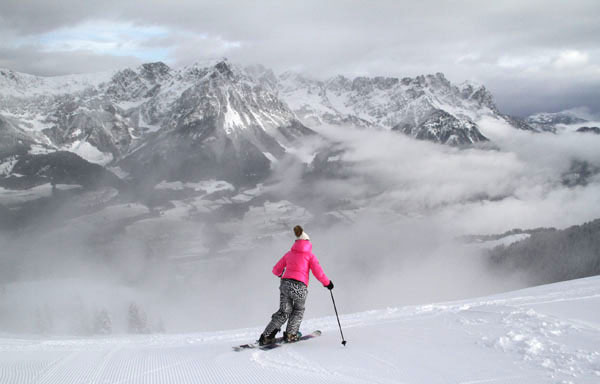 SkiWelt is easy to access by car, or bus, within two hours of Munich, Salzburg, and Innsbruck, and near Kitzbuhel ski resort – which you ski to as part of a ski safari that covers 100 kilometers in a day.